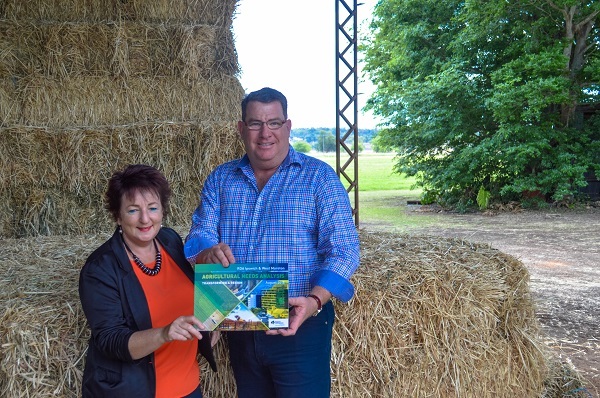 Chair of RDAIWM Cr Janice Holstein is proud to release the RDA Ipswich & West Moreton Agricultural Needs Analysis with Federal Member for Wright and Assistant Minister for Roads and Transport Scott Buchholz MP. The Needs Analysis is based on the premise that the objective of all organisations in the region is to build on the established reputation and agricultural capability of the area. ‘Our region produces over $783 million worth of agricultural commodities’ said Cr Holstein. ‘RDAIWM also intends the study to enhance public understanding and debate of what needs to be done to advance the interests of the Ipswich and West Moreton region economically, socially and environmentally’. The Ipswich and West Moreton Agricultural Needs Analysis is a summary of the infrastructure development requirements that should be addressed to boost the growth of the industry. The report will also assist with trade and investment opportunities with information to enable the industry to be confident with the prospects of the region. Mr Scott Buchholz said ‘The Toowoomba Second Range Crossing, the Toowoomba Wellcamp Airport and the advancement of technology are all projects that will drive increased investment and expansion in the agricultural industry for decades to come’. ‘I would like to congratulate Cr Holstein and her team on the work they have done to highlight the benefits of investing in our region’ said Mr Scott Buchholz MP. Trade & Investment Queensland hosted three Trade and Investment Commissioner’s to our region. 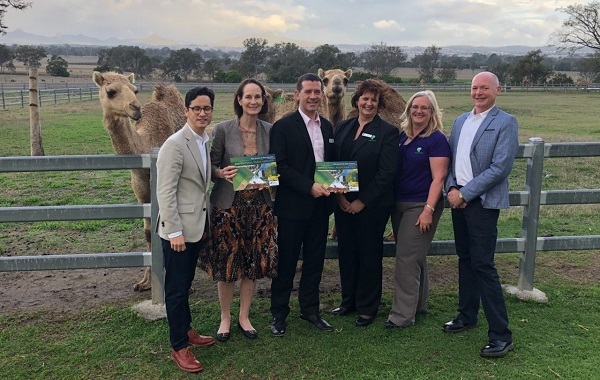 The Commissioners from UK/Europe, Korea and Taiwan were shown firsthand the opportunities that the region of West Moreton (Ipswich, Scenic Rim, Lockyer Valley and Somerset) had to offer. The West Moreton Trade and Investment Group chaired by TIQ and RDA Ipswich & West Moreton has been established to provide an opportunity to develop initiatives to support greater trade and investment outcomes and collaboration across the West Moreton region. RDA Gold Coast, RDA Ipswich & West Moreton, RDA Logan & Redlands and FIAL held its first collaborated workshop titled ‘Win-Win Negotiations’. Attended by suppliers and small business this workshop focused on how to deal with domestic and international buyers. 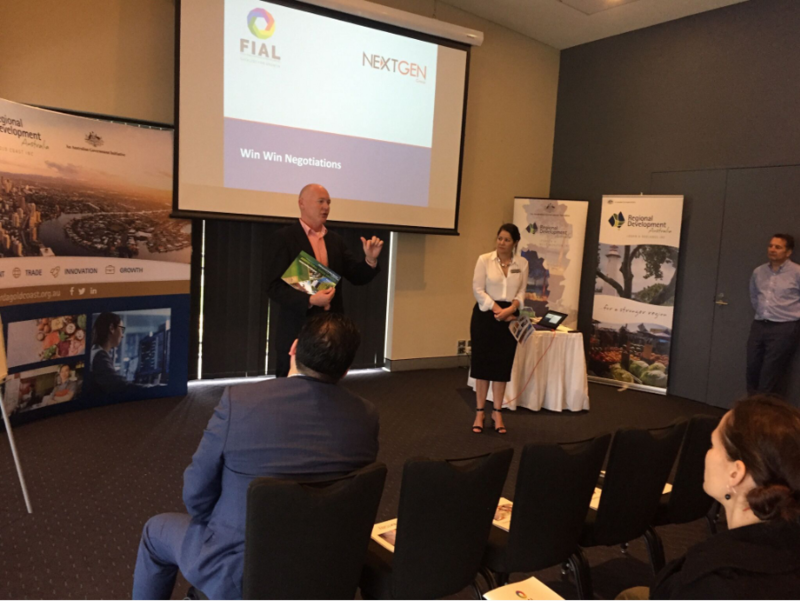 This workshop which has been designed to boost competitiveness and innovation of businesses is the first of many being rolled across the SEQ region. The next one in this series is the e-Commerce Readiness being held on 5th February, 2019 (Gatton). Numbers are limited, so please feel free to register your interest to attend. Mobile Network Operators and Infrastructure Providers are encouraged to submit applications for funding to deliver new and improved coverage across regional and remote Australia. On 15 October 2018, Australian Government released the Guidelines for Round 4 of the Mobile Black Spot Program and called for applications from Mobile Network Operators and Infrastructure Providers to the Round 4 competitive assessment process. Reaching new customers, applying real-time data analytics or running your business on the go, technology can help you improve your business in many ways. The hard part is knowing where to start. This FREE workshop will give you practical advice and digital skills to help you grow your business. Plus, you will leave the workshop armed with your own ready-to-go digital action plan. how to improve your online presence and customer experience. Once you received your digital scorecard result email. Copy the entire URL link from your browser into the Eventbrite online registration form and paste it into the ‘Insert digital scorecard result link here’ field. Owners of heritage-listed places in Queensland, and not-for-profit organisations that manage such places, can now apply for the third round of heritage conservation grants. Valued at $950,000, this latest funding package is part of the Palaszczuk Government’s $12 million Community Sustainability Action Grants Program, invested over three years to support heritage, environment and conservation projects that benefit Queensland. Environment Minister Leeanne Enoch announced the funding package to coincide with Brisbane Open House celebrations, with individual grants of up to $40,000 available to applicants. “So far we’ve seen $1.8 million allocated for 50 heritage conservation projects, and these grants have yielded some excellent results for Queensland’s heritage-listed places,” Ms Enoch said.